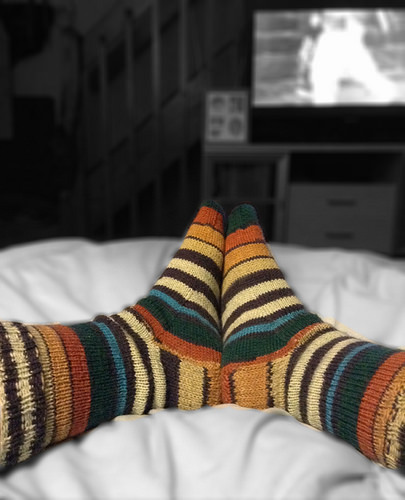 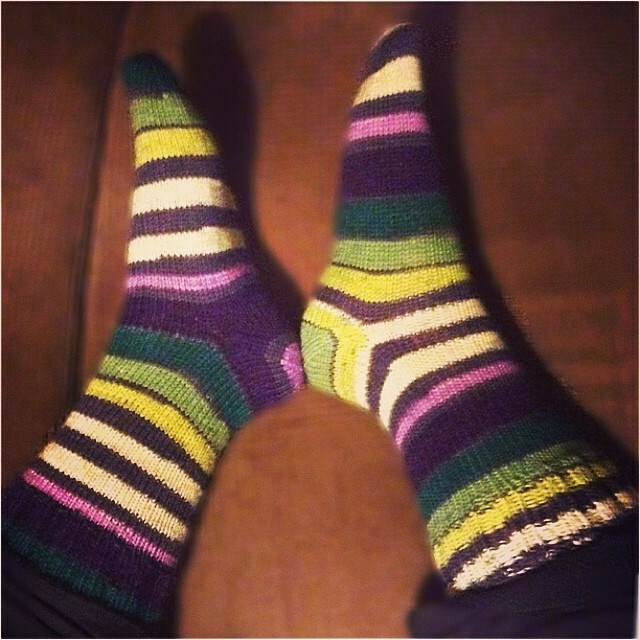 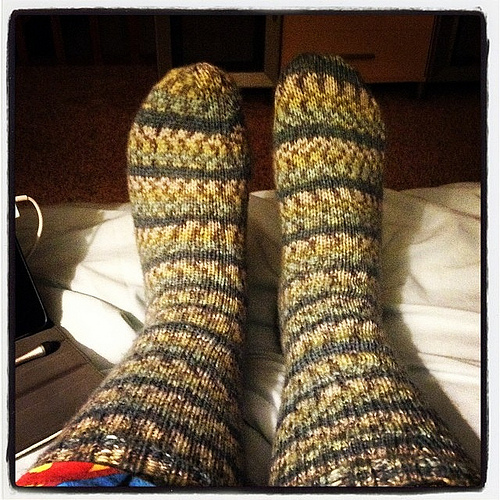 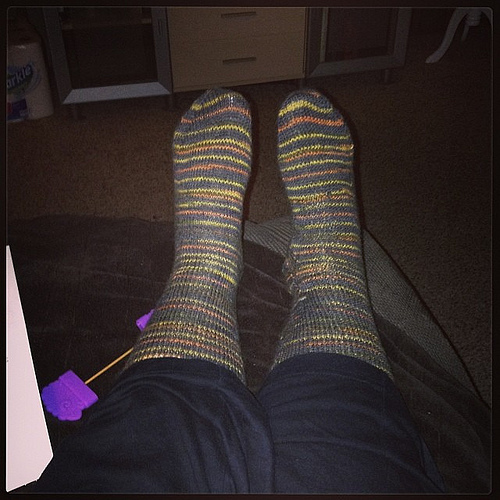 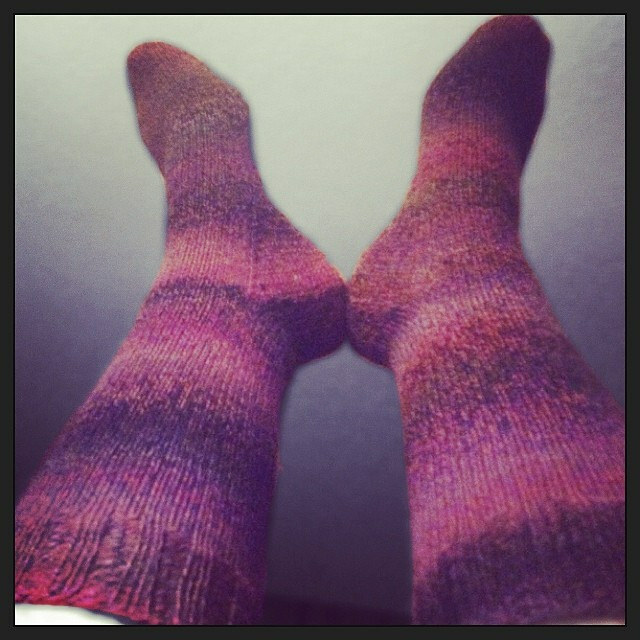 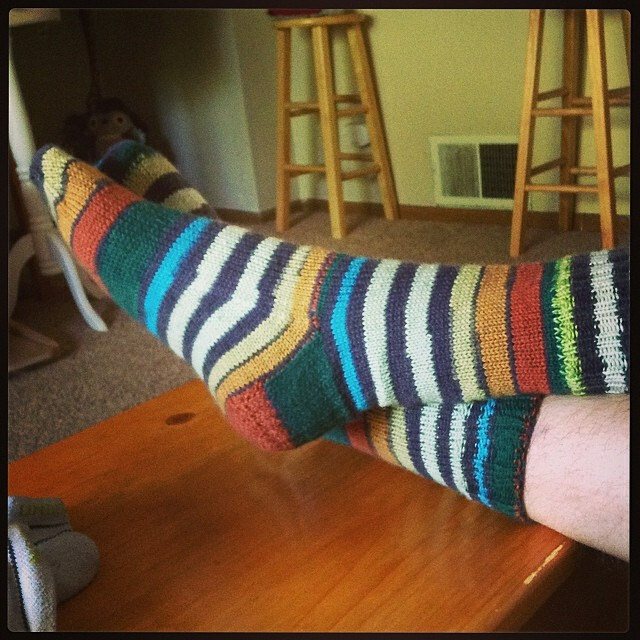 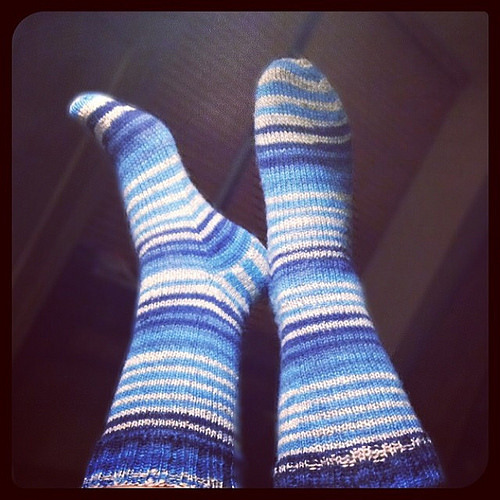 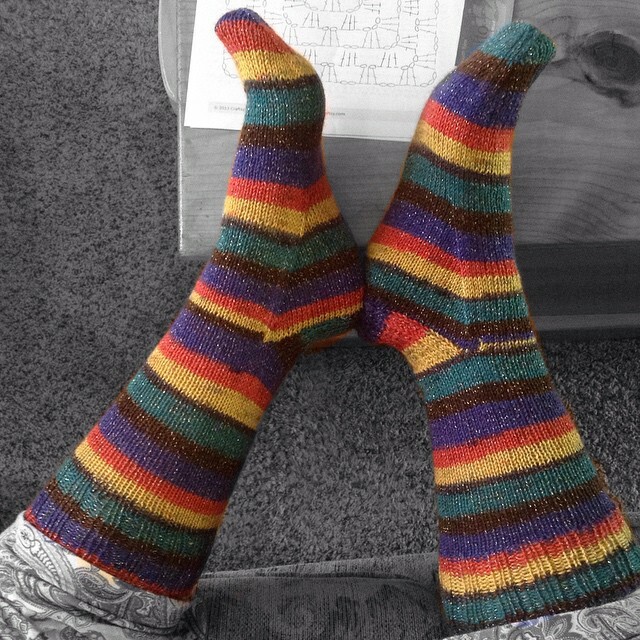 Oh socks….if only I could write an ode to just how much I have fallen in love with sock knitting. 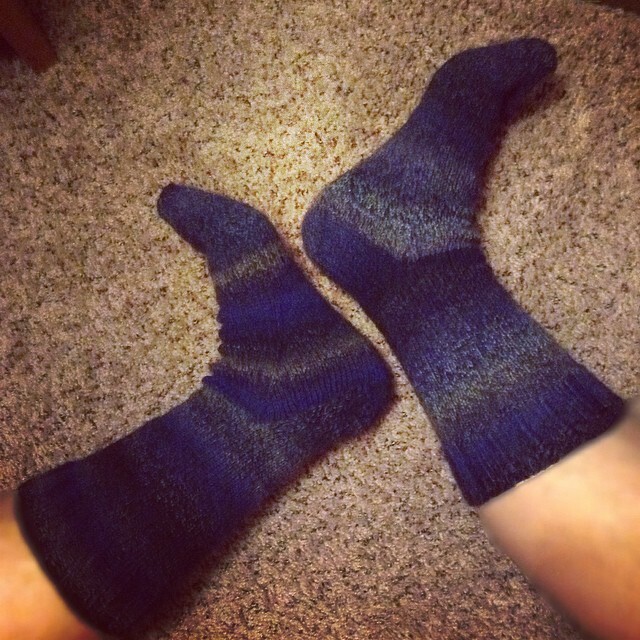 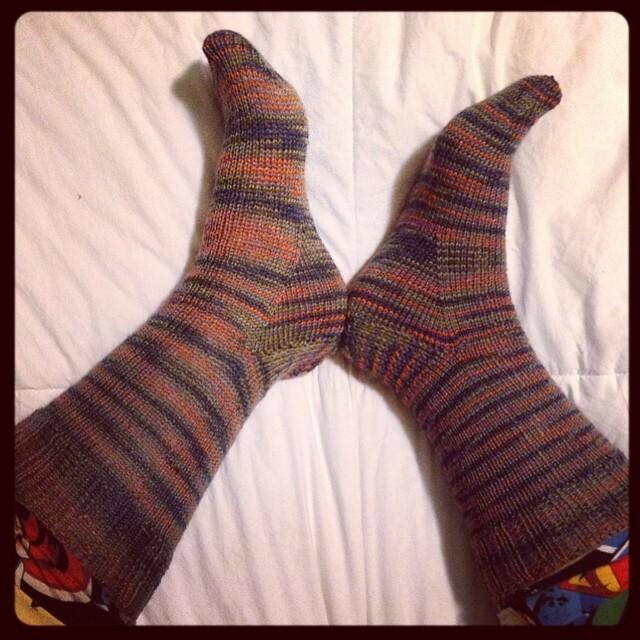 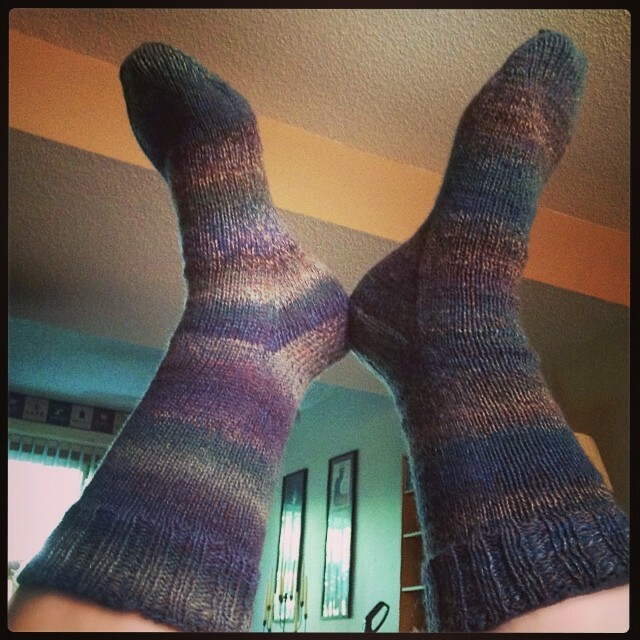 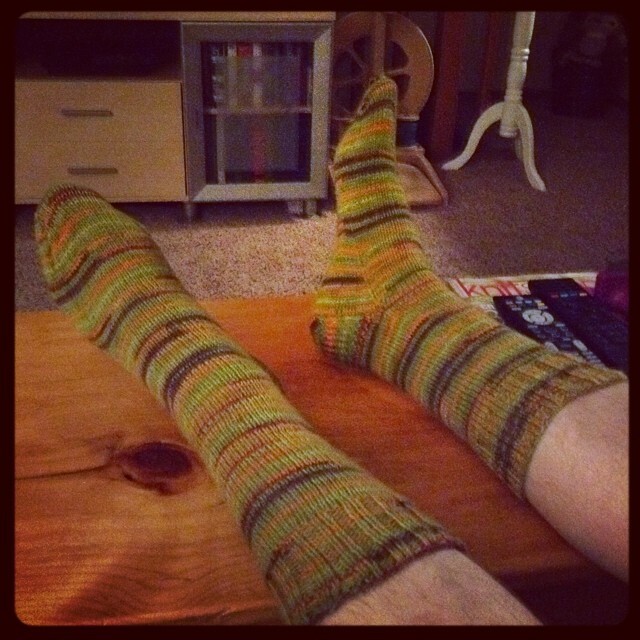 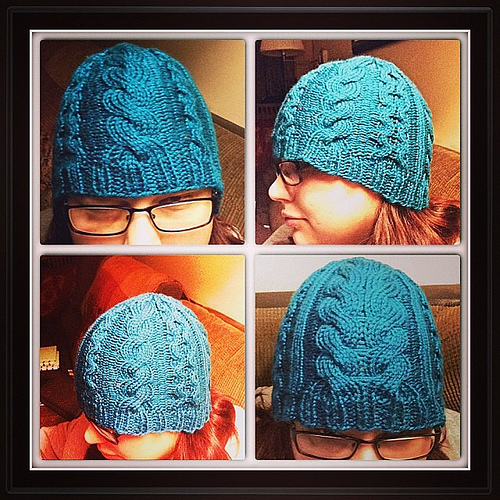 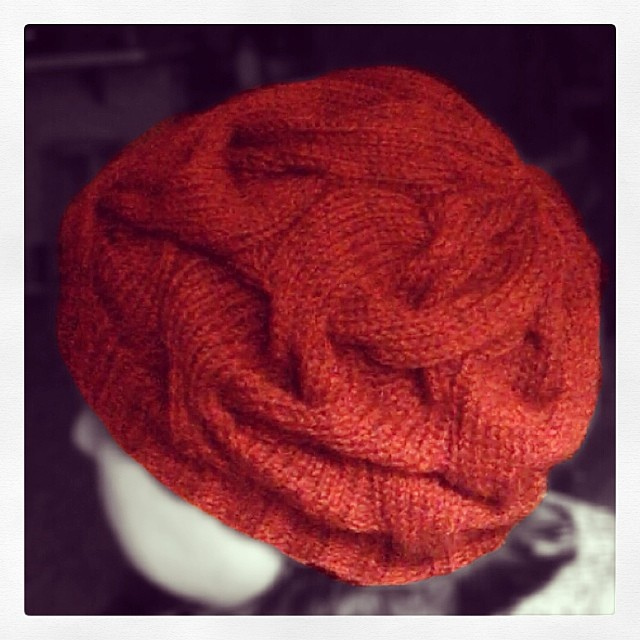 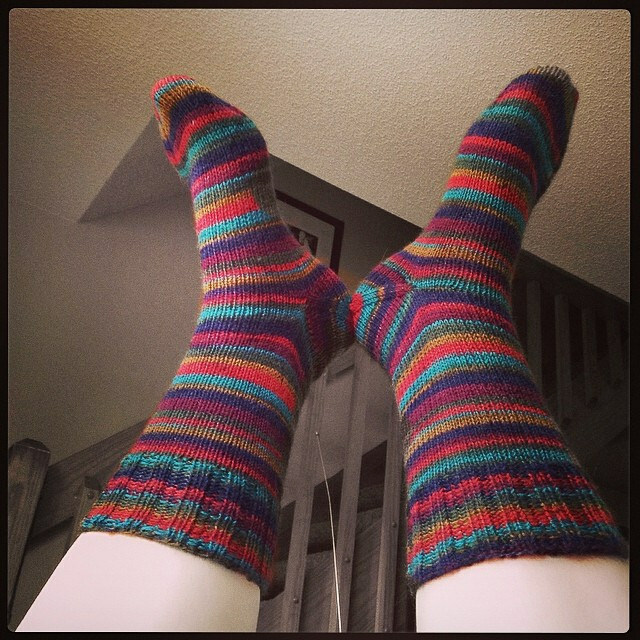 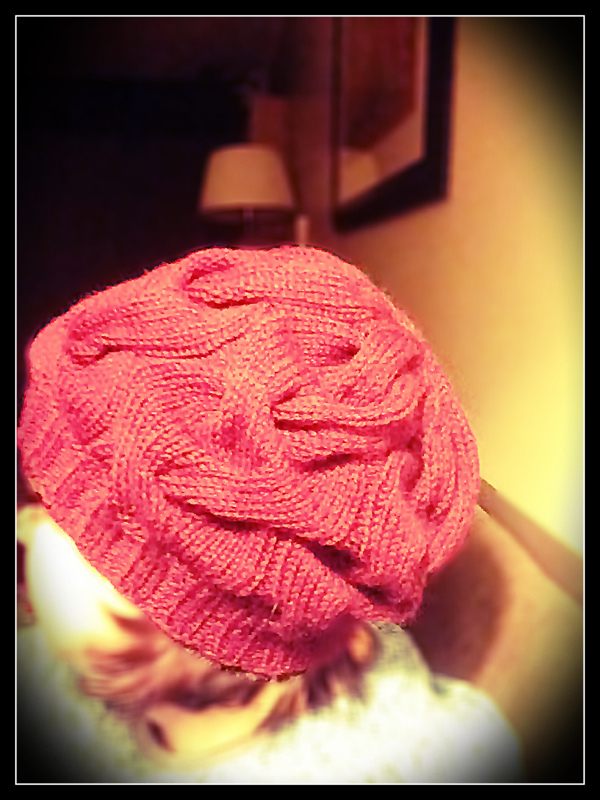 I’ve only knit three pairs in my knitting lifetime – all since October of last year. 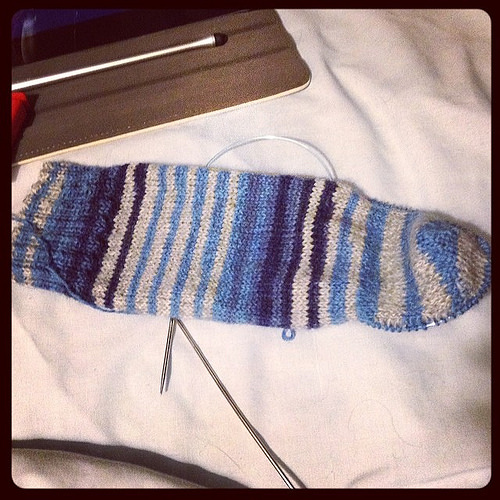 Still, there is something mesmerizing and just plain zen about knitting socks. 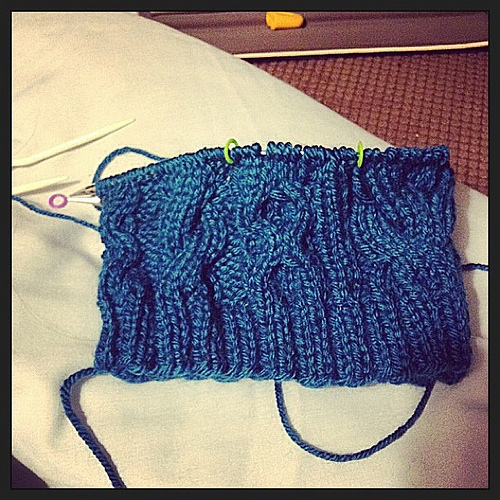 I liked Knitting Sarah’s KAL idea so much I started last night! 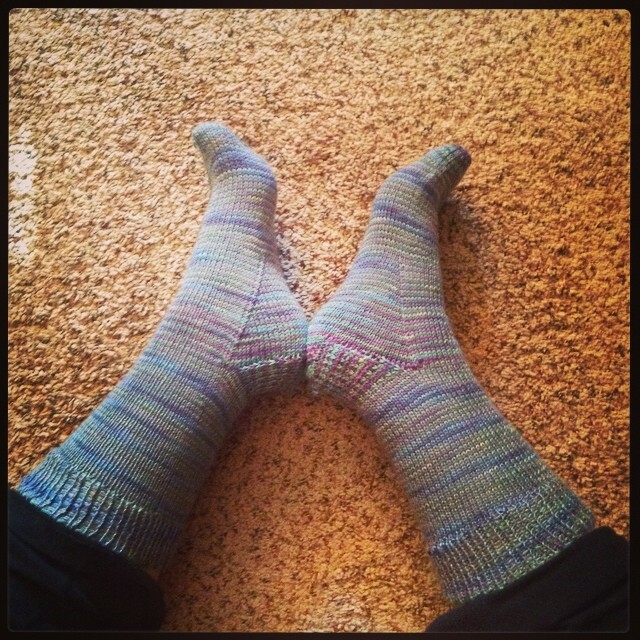 They are almost perfect! 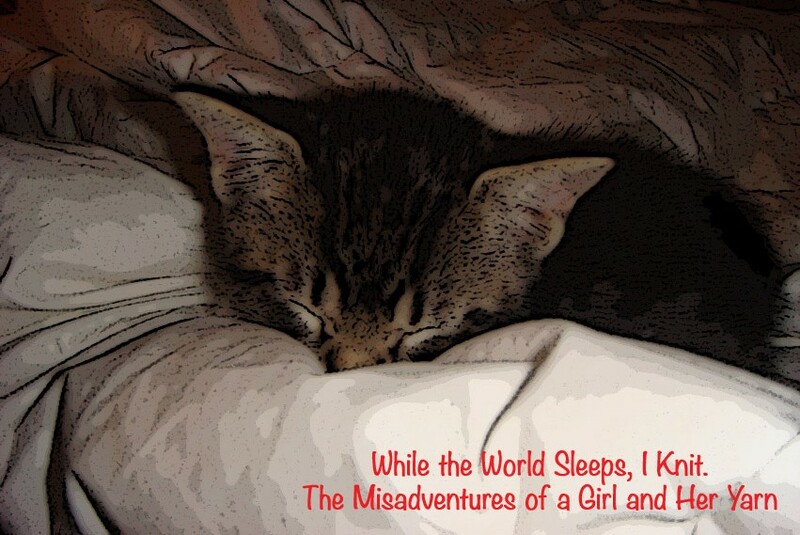 – Pardon my superhero PJs. 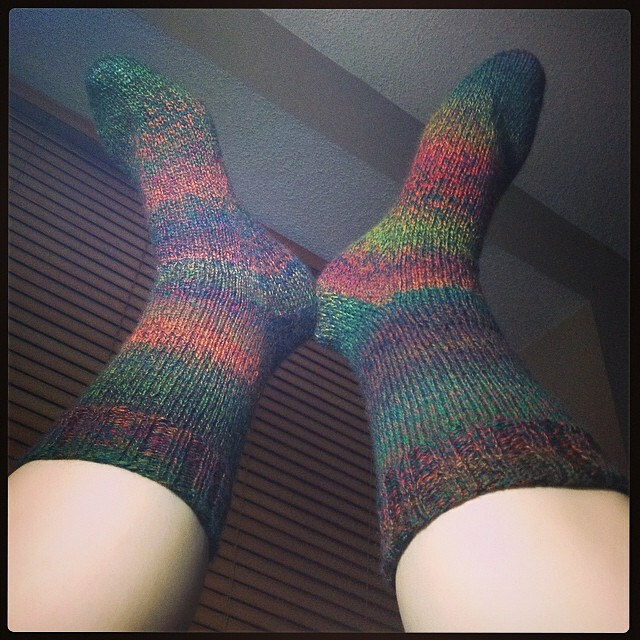 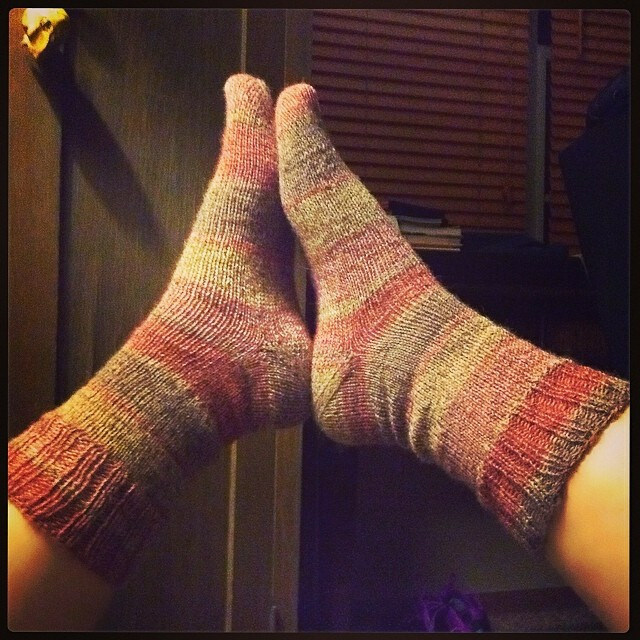 I finished my third pair of socks in a white heat around 4am. 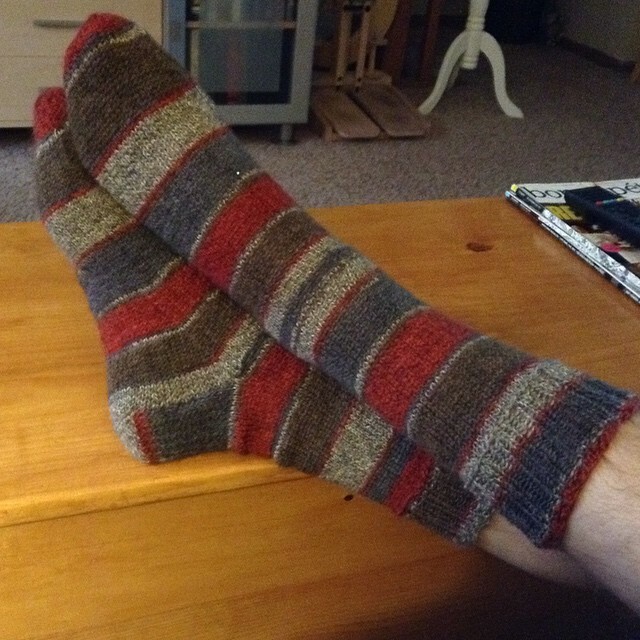 The pattern is a weird mishmash of all sorts of free patterns I have found online and Clara Parkes’ The Knitter’s Book of Socks. 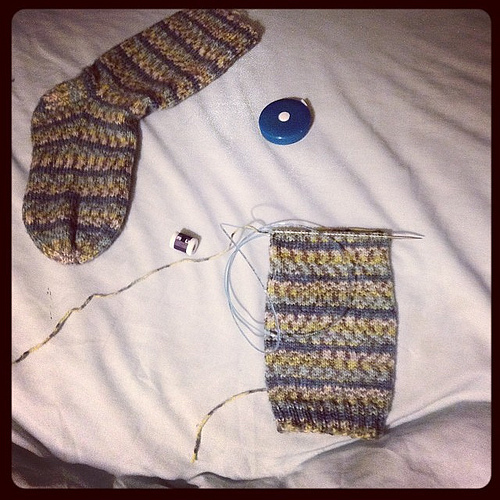 They are almost perfect – they need to be about two rounds longer in the foot and four stitches shorter in the cuff and we’ll be good to go. 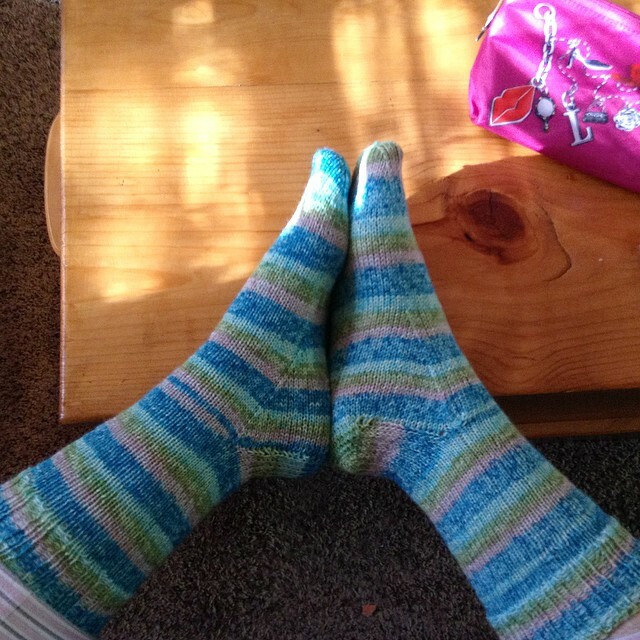 I think that Patons sock yarn (this is Patons Jacquards in Aqua Jacquard) is a really nice yarn for the price as well. 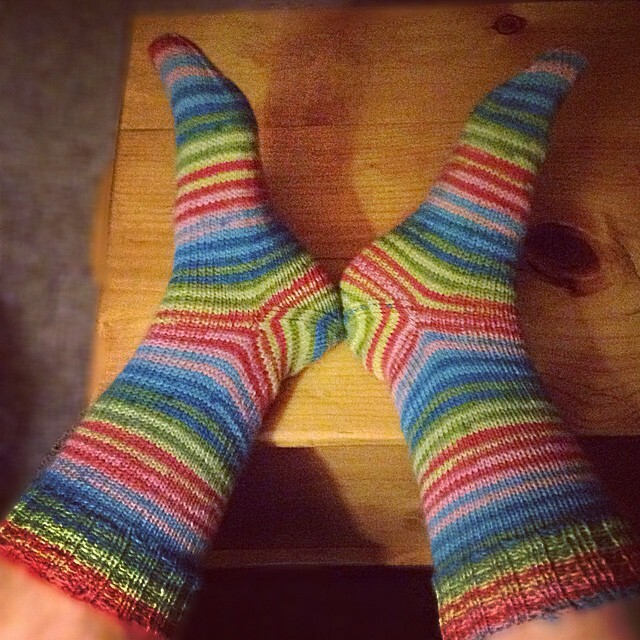 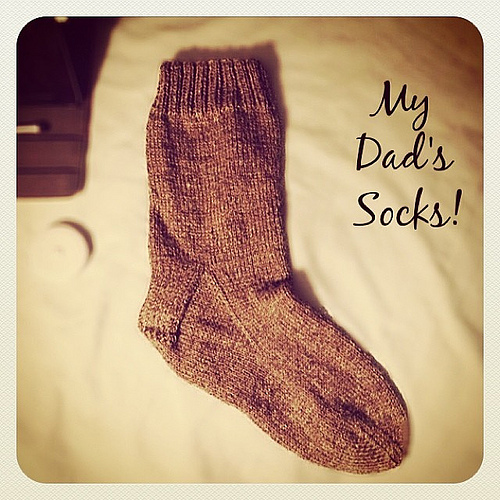 I love these socks….I want them to come out of the dryer before I go to work….here’s hoping. 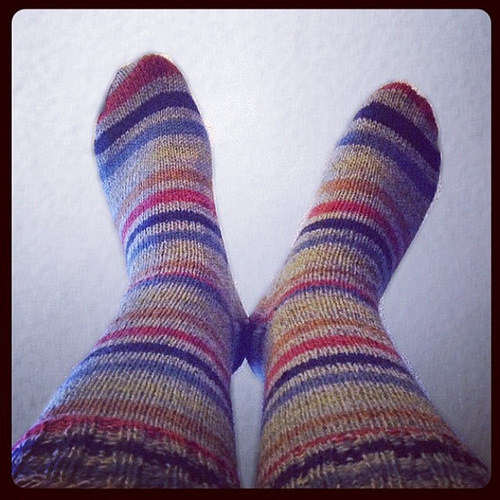 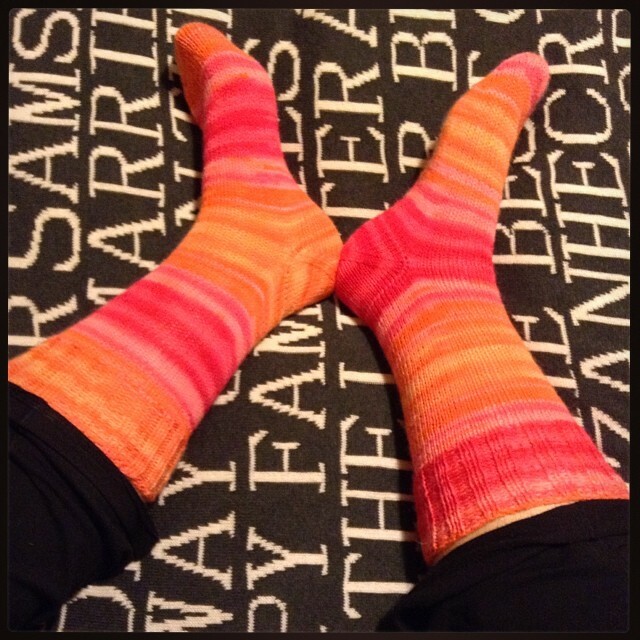 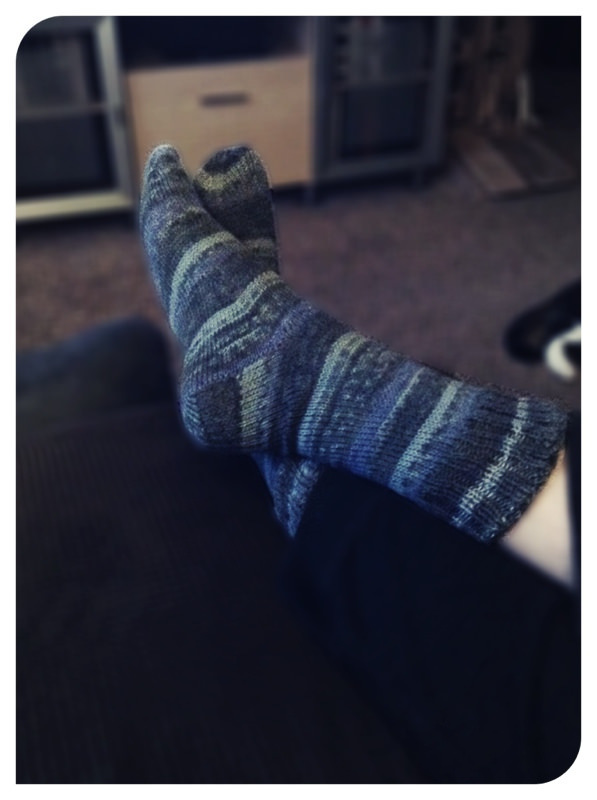 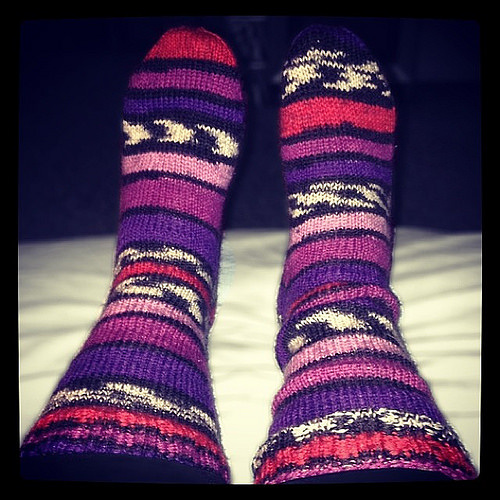 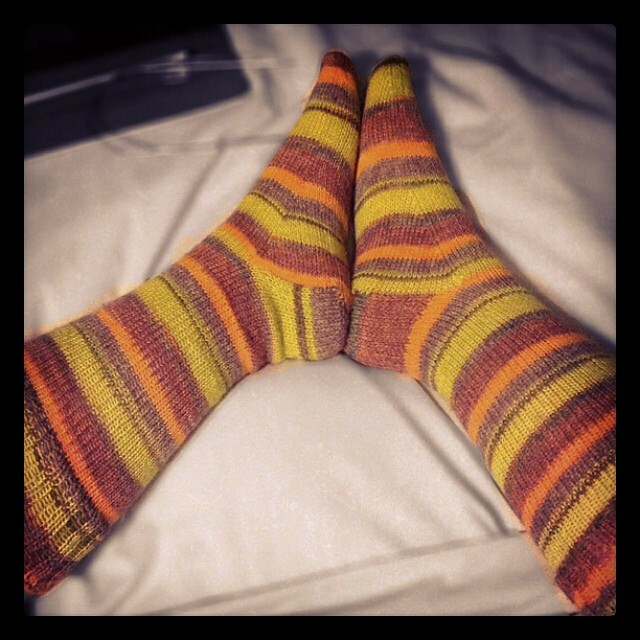 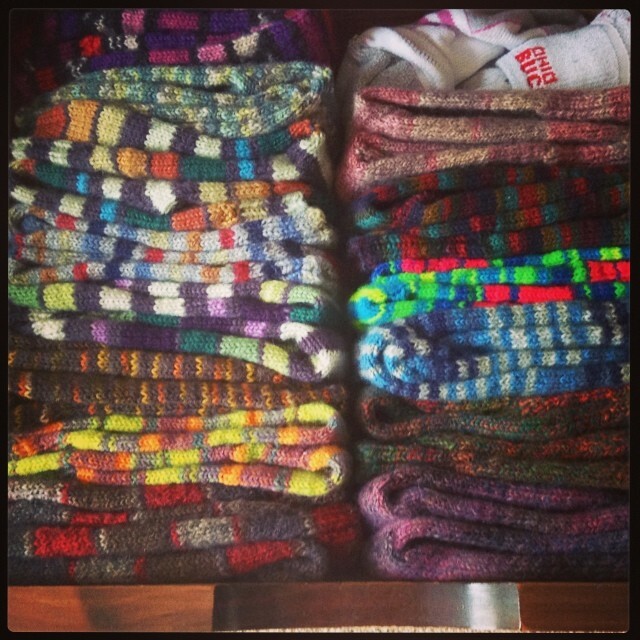 And since I like to use photos to tell a story of knitting goodness – here is my pair of socks photogenic journey! 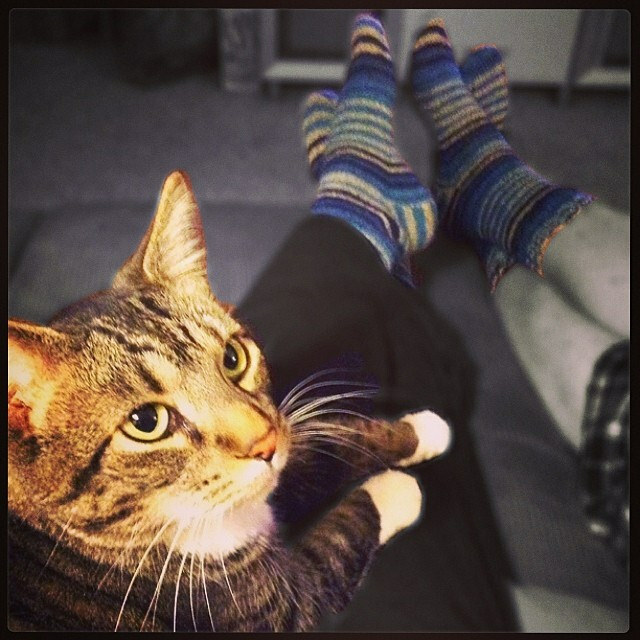 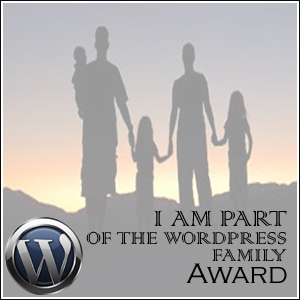 Well, time for work friends and neighbors. 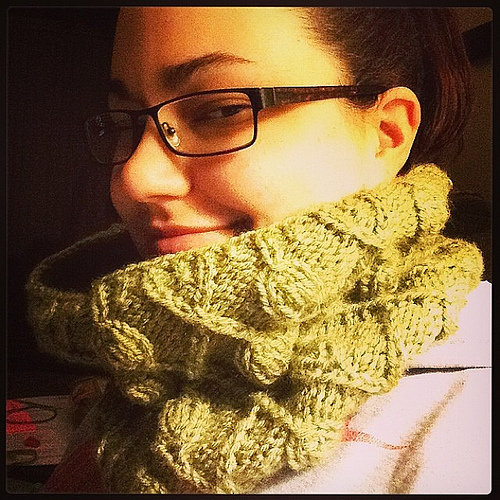 Thank you so much for the KAL advice. 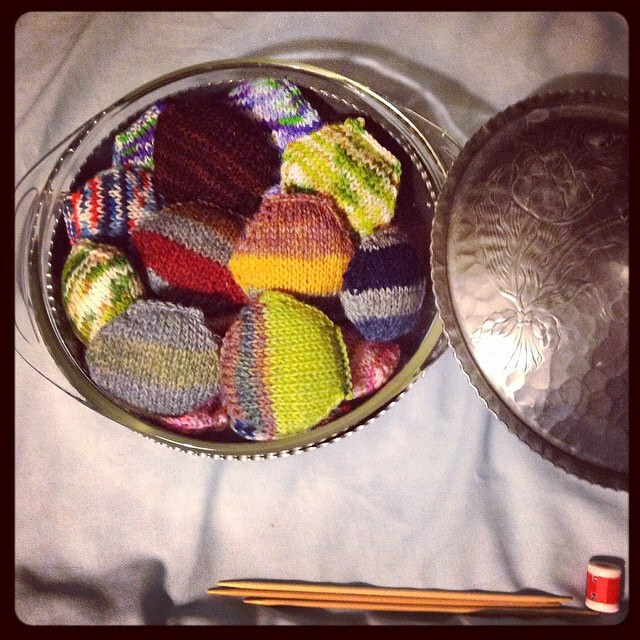 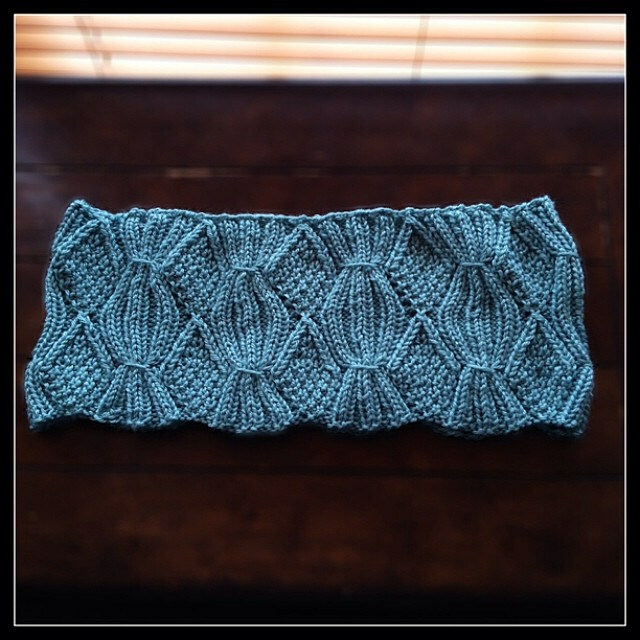 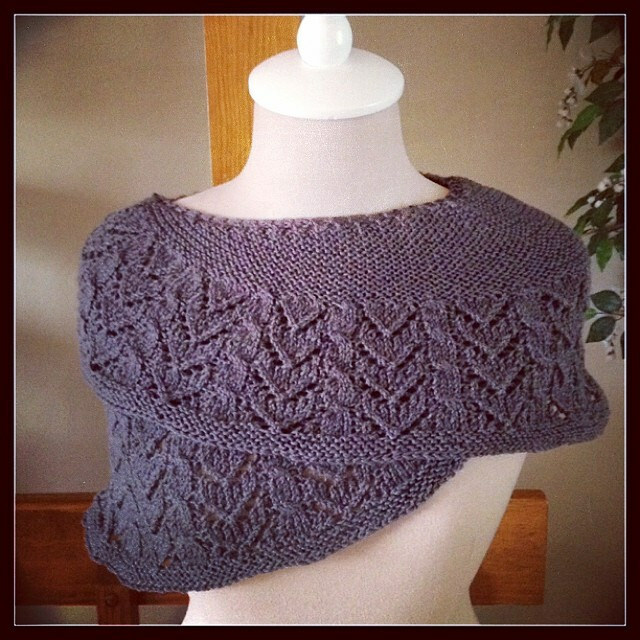 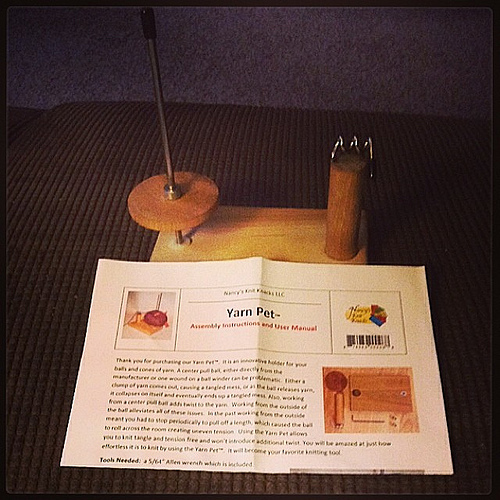 Go see Knitting Sarah’s KAL page, it is very low-key and such a wonderful idea. 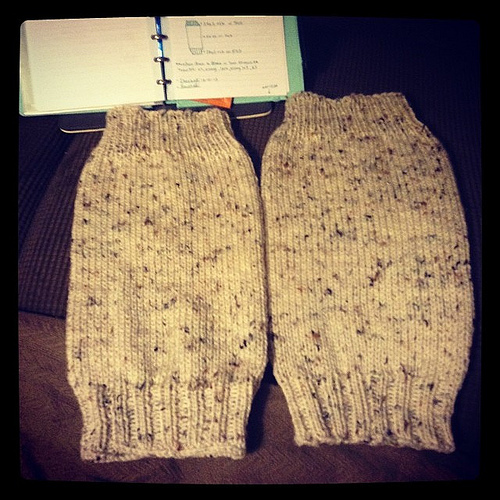 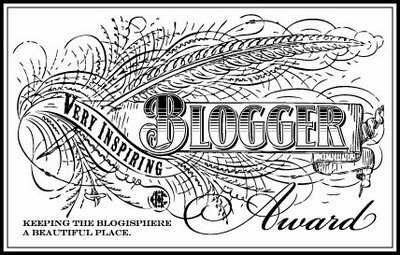 Cannot wait to get back to you with some finished goodies! 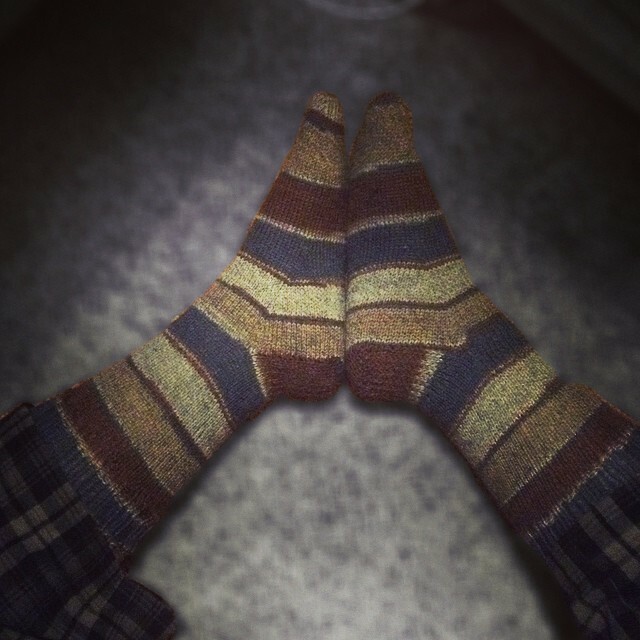 HAPPY JANUARY 2nd! 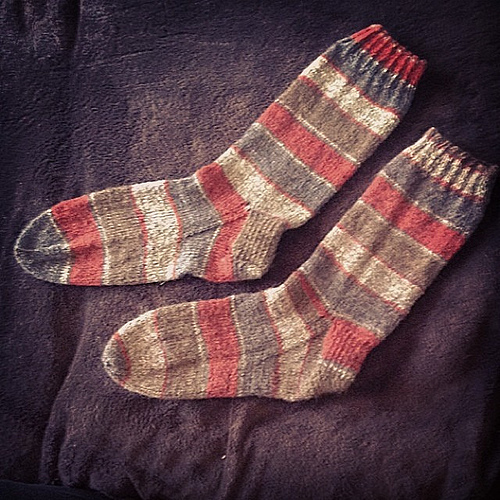 This entry was posted in Blogging, Etsy, Happy Place, Instagram, KAL, Knit Along, Knitting, Ravelry, Yarn, yarn stash and tagged clara parkes, finished objects, FO, KAL, knit, knit along, knitter's book of socks, Knitting, knitting sarah, knitting sarah sock KAL, knitting socks, magic loop, paton, Patons, patons jacquard, progress, try something new on January 2, 2014 by allnightknits.